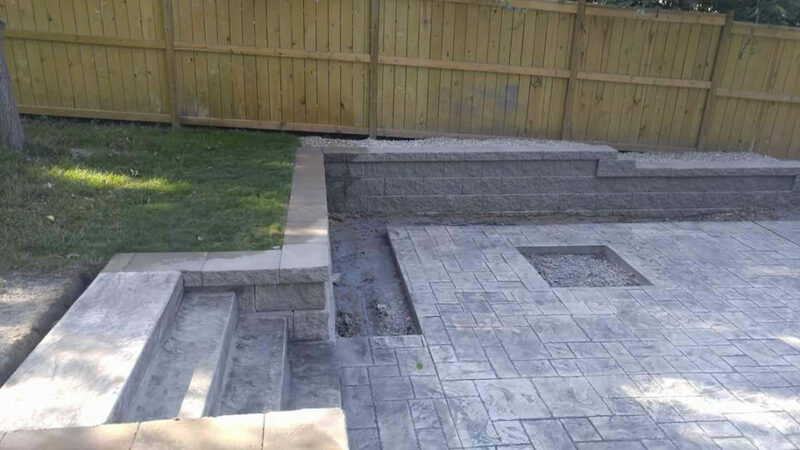 St. Louis Lawn Care can design and install your next retaining wall. 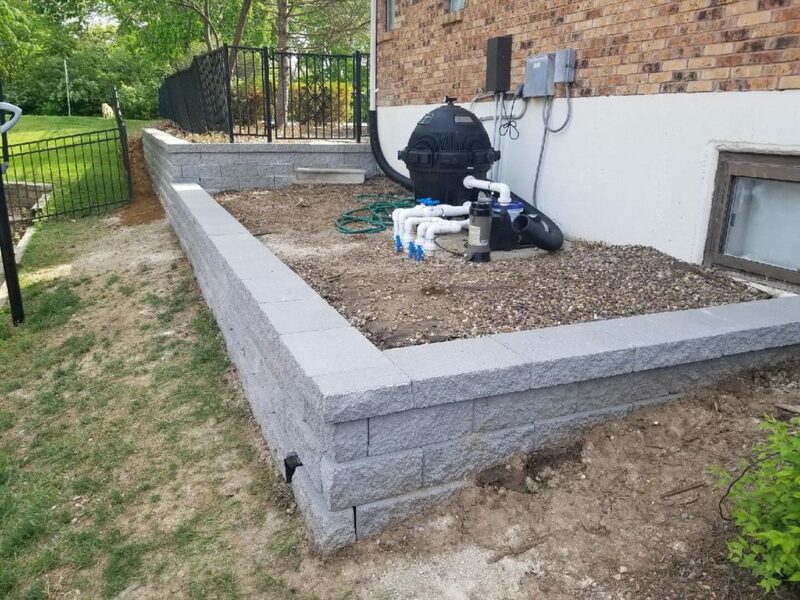 If you are looking for something to improve your landscape in the St. Louis area, then a retaining wall can be the perfect thing. 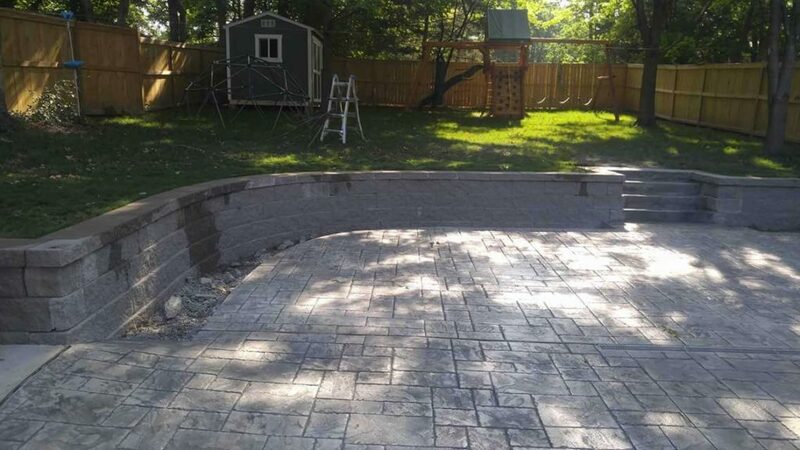 Whether you need a new retaining wall built or replacing an old retaining wall, St. Louis Lawn Care can design and build a wall to your specifications and taste. If you live in the St. Louis area and need a retaining wall built, call or text St. Louis Lawn Care today at 314-974-5911. Below is a great resource guide for you to learn more about retaining walls. Retaining walls, whether for home or office, are best left to the experts. For something that doesn’t move, retaining walls are both a work of science and a work of art. What we don’t see driving by a retaining wall is the complex engineering that is often necessary to ensure the wall holds back what’s behind it. It’s a gravity-buster when done well. This article is an in-depth look at some of the key issues associated with retaining walls. Let’s dive in. “Need” is the operative word. Most of the walls we build start with a functional need, but the finished look of the wall is a major consideration in the decision for the final product. The functional reasons you might need a retaining wall start and stop with soil. Is your home or business downhill from loose soil? Are you seeing erosion on your land? Do you have water issues in your home or business? The form reasons for a retaining wall are far more fun to deal with. As interest in outdoor living continues to grow, demand for more creative options for retaining walls follows right along. Check out several sections of this article for more detail on your options. There are three factors that determine the cost of a retaining wall: material, height and length. Weather can also have a significant impact on cost, such as large temperature swings or extreme weather such as earthquakes. hurricanes and tropical storms. These conditions often require retaining walls have additional support. The type of soil may require additional back-fill material to strengthen the wall. Some soils hold water more than others, which can be a problem over the years. Wood: $15 per square foot. These material costs do not include excavation or removal of dirt or an existing wall. I always tell customers—typically just the homeowners—that they can save money by removing as much of the existing wall or dirt as possible. What are the different types of materials for retaining walls? There are 10 basic types of stone options for your retaining wall. Below is a quick overview of each. However, there is a great resource online called homestratosphere.com and author Emily Taylor has put together a great detailed article on the 10 types, their pros and cons and some great videos. This is the best information I’ve found in one place. Concrete blocks. This is a well-known and underestimated material. It can be crafted to be beautiful in the right situation. It is durable, easy to install and low maintenance. Average cost: $1 – $3 per stone. Stone veneer. As the name implies, this is a decorative covering for vertical walls. It provides great flexibility and can look incredible. Average cost: $6 – $9 per square foot. Poured concrete. A flexible material because it is poured, giving you many options on design. It can be susceptible to damage from water and/or chemicals. Average cost: $3.35 – $5.25 per square foot, or about $95 per cubic yard. Brick. A popular material because of its look. It is durable but can be expensive. Average cost: $1.75 per square foot and up. Wood. Still a popular option with homeowners, partly because of its look and partly for its reasonable cost. However, wood has a limited life compared to stone. Average cost: $15 per square foot and up. Boulders. One of oldest forms of retaining. Boulders are readily-available and very durable. They are, however, very heavy and not always flexible. Average cost: $100 – $600 per ton. Gabion. Another very old type of wall, these are simply wire cages filled with rock or rubble. They are flexible and very durable, but not that visually appealing. Average cost: $335 per cubic yard (three-feet square cage). Timber. While a wood product, timbers are wood that has not been processed into a specific size, e.g. 2X4. Timbers are typically cheaper, durable and aesthetically appealing. Like finished wood, they have a limited lifespan. Average cost: $16 – $19 per square foot. Natural stone. Think of natural stone as a smaller version of a boulder. It has the same durable and aesthetic qualities, but natural stones are smaller and provide much more flexibility from a design perspective. Average cost: $8 – $12 per square foot. Limestone. It is a beautiful and durable material that is flexible in design. It can be susceptible to chemical damage. Average cost: Up to $515 per ton. Where can I get ideas for a retaining wall? Our team can certainly help you, but we all know living in the age of smart phones, many people like to shop around. There are many great resources on the internet for retaining wall ideas. Here are a few I really like (some of which go into great detail if you’re considering doing the wall yourself). What are the different types of stone materials for retaining walls? Granite: A popular material because of its strength and beauty. Granite can handle both water and extreme temperature changes, allowing it to be used through the U.S.
Limestone: Another beautiful stone option, limestone is cheaper than granite, but not nearly as strong, making it more used on shorter walls. Cobblestone: It has a great, old-world look and feel and comes in many shapes and sizes. And, the stones will often patina over time, giving them even more of a homey feel. Interlocking or cement blocks. While these are the predominant materials used for commercial retaining walls, the interlocking blocks have become more popular with homeowners. 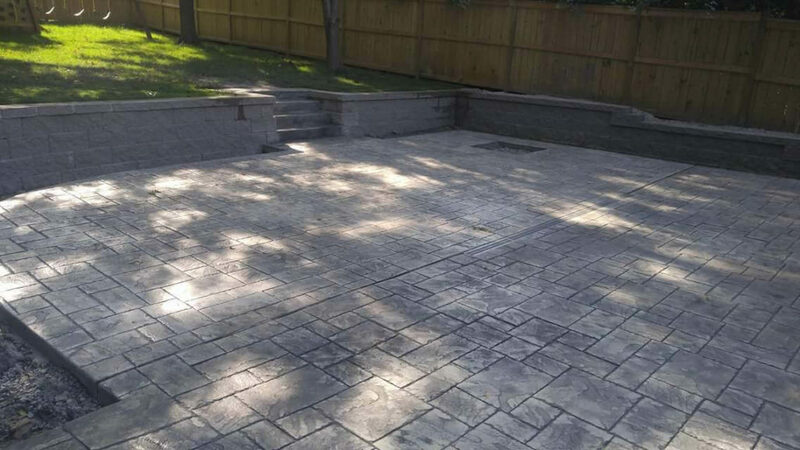 While interlocking blocks aren’t as flexible as natural stone, especially in the sizes, they are very sturdy and new designs are coming out that make them look less commercial (which has always been the biggest complaint by homeowners). How do I choose a company to build my retaining wall? References. I always tell prospective customers to talk with my homeowner and business customers. So, for any contractor you’re considering, make this your first act. Social media is another great resource, but try to stick to the recommendations from your circle of friends only. Once you’ve decided on two or three companies to consider, ask them for a detailed budget and timeline. And finally, at a minimum ask for photos of the contractor’s work. Even better, go and visit some of their projects and speak with their customers. While there are clearly service components to consider, a retaining wall is a product that either works or doesn’t, to be overly simple. Should I try to build my retaining wall myself? Are you handy? Better yet, are you really handy? While retaining walls often look simple, but what goes on underneath the hood of a retaining wall, so to speak, can be a highly technical infrastructure that takes into account many factors such as soil, topography, drainage and weather. In short, a retaining wall’s job most often is to keep gravity in check. You want whatever is behind the wall to stay there… and not move. One of my favorite websites is ThisOldHouse.com. They have compiled a great overview of building a retaining wall. We have been servicing St. Louis, MO for more than 30 years. Here are some of our most recent retaining walls. St. Louis Lawn Care is the locally-owned source to build your retaining wall. St. Louis Lawn Care can design, engineer and install your home or business retaining wall. We are a locally-owned, St. Louis-based company. Our website has many testimonials of our work, and we would love the chance to win your business. My name is Tim Jenkerson and I’m the owner of St. Louis Lawn Care. I can be reached at 314-974-5411 or Tim@STLLawnCare.com.